I continue exploring older releases by Swedish distillery Mackmyra. Today I take a closer look at the Mackmyra Special 07 Framtidstro (Optimism). It was launched in the Summer of 2012. "A blend of our recipes Smoke and Elegant has been matured in several different cask types from 30 to 200 litres. It has finished on casks that have been saturated with cloudberry wine." 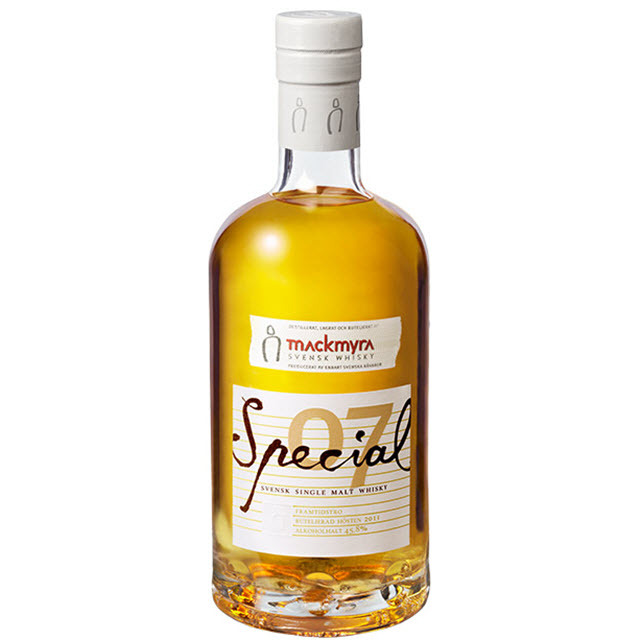 It is still possible to order the Mackmyra Special 07 Framtidstro in Sweden at SEK 1200 (8581101). Nose: The nose is light and fruity. There's a touch of smoke here, but it is rather mild. I detect hints of rice for some odd reason. The mind is a mysterious thing... With time I also get red berries, malt and salt. Taste: Rather thin mouthfeel. There is some spiciness and hints of ashes. The fruits are hiding. Finish: Relatively short finish. The spices fade away quickly, leaving an aftertaste of artisan water. A touch of minerals and in particular salt. Comments: I could almost imagine this was a very young, bourbon matured Tobermory. Stay tuned for more reviews of Mackmyra and more Nordic whiskies every Tuesday.